If you're a sucker for the aesthetic appeal of a good typeface, you can now turn your obsession into a fashion statement with the newest line of jewelry from Bande des Quatres. The collection was inspired by the work of some of history's greatest typographers, Fast Company reports. It includes tributes to famous figures and their typography collections, including Paul Renner (Futura), Morris Fuller Benton (Garamond), and Frederic W. Goudy (Goudy Old Style). 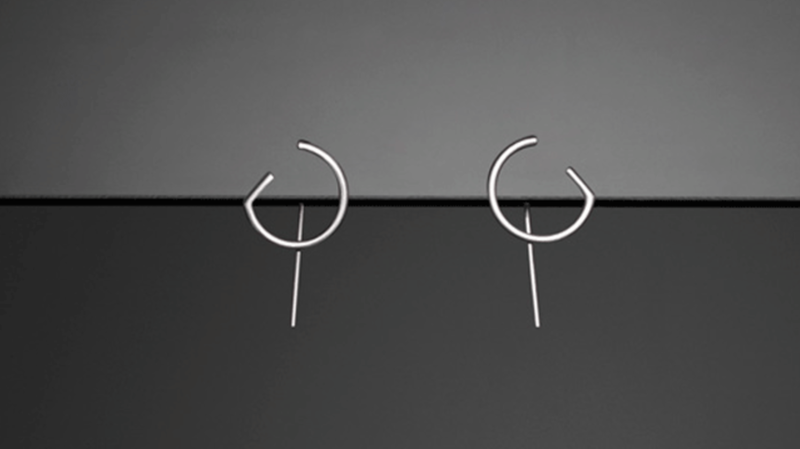 Available in both 10pt and 20pt, the brand's Adrian earrings were made in the geometric style of Adrian Frutiger's Avenir font. Even if you can't place his font by name, you may be able to recognize it from the signs used in Hong Kong's airport or from Apple Maps. The mother-daughter jewelry team specializes in making niche collections. In addition to their font-inspired line of rings, earrings, and necklaces, they also have collections devoted to influential photographers and architects. You can shop for jewelry from Bande des Quatres on their website. Images courtesy of Bande des Quatres.